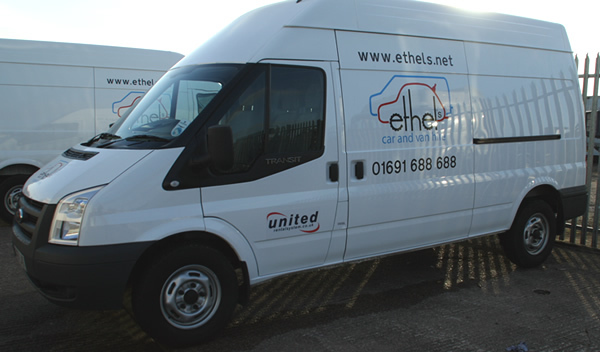 Ford 350 LWB HR Transit for Hire, – Van Hire Oswestry by Ethel’s. The Ford 350 Long Wheel Base High Roof Transit is ideal for heavy-duty use. With a huge load length, there’s room for four Europallets lined up end to end. For the daily rate for hire for this vehicle please see our Price List for Details), which includes Comprehensive Insurance, Breakdown Cover and VAT. Please Note: The vehicle referenced above is provided as an example. Specific models within a van category may vary in availability and features such as passenger seating, capacity and engine performance – See Van Hire Options for details.